Corrected it, cheers for letting me know. Entire thing cost less than RM 10. Go for the Yakult too! Not as sweet but a little tangy! Super nice! Okay, I shall check it out! Cheers for the tip! It was alright when I first went in 2006 – 7 years later, it’s even worse with all the people who now knows about it and is driving prices up. It just opened not too long when I first came to Bangkok. Have fun – Mr & Mrs HB…!!! I didn’t even realize it until *after* I arrived in Bangkok and was about to tighten my belt before I got off the plane. We must have passed each other! I just flew out of BKK at 6 am Thursday! It’s a huge airport, love their lounges. I was delayed on a Lufthansa flight from Frankfurt last year (incidentally, also took Lufthansa this time) but I was on Business Class so I had access to the awesome lounges. Since I work for a US carrier I try and stick to my own company for travel. I’ve flown Lufthansa before, and I like them. They treat fellow airline employees very well! 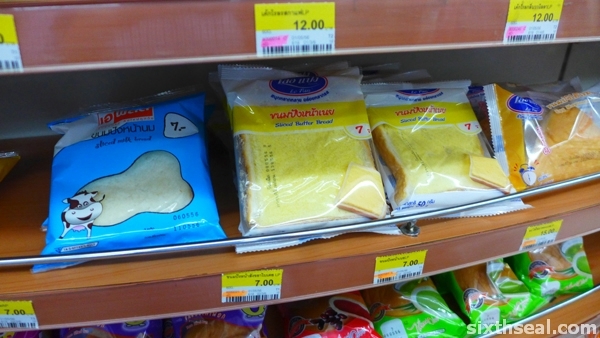 Btw gotta love 7-11’s in Thailand, they have almost anything one could want! I don’t have a particular carrier that I prefer, I’m okay with most of them. I’ve had good experience with Lufthansa before – interesting to know that they treat fellow airlines employees well! I’m guessing Qantas doesn’t, coz there seem to be a strike every other day when I was studying in Melbourne. Indeed! The 7-Elevens here are awesome! Ohh ya…I went to Platinum Mall last year. The so-called wholesale place, most of the things aren’t that cheap oso. I can get it cheaper at Siam Square Outdoor Market (Opposite of Siam Paragon). I can’t imagine what possessed me – terrible memory. It’s a good thing it’s not my expensive belt, but my casual wear belt (have 3-4 belts at home, only wear two). I know right! It’s not that cheap compared to last time too – lots of people come here to buy in bulk to resell online on blogshops and stuff like that. Thanks for the PM! Got your cell phone number. 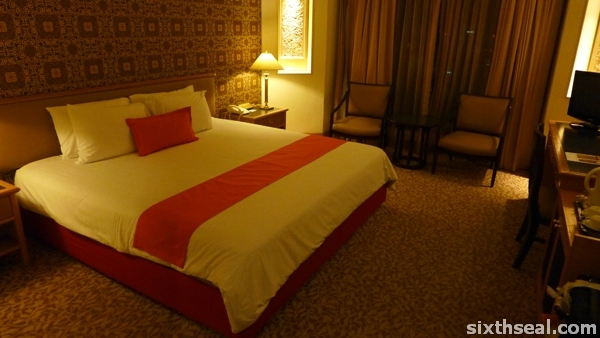 I replied and also your comment on my Siam Paragon checkin. I really appreciate the kind offer buddy! It’ll be nice to catch up, let me work out the details in the itinerary! I thought I read somewhere that Red Bull is not safe for consumption, should not drink? Hmmm…thank goodness for the few words of English – I wouldn’t know what on earth those glyphs mean. Hmm…I think I read that somewhere too but it’s more like Red Bull + vodka coz the high levels of caffeine in Red Bull can cause some people who aren’t tolerant to feel the effects and that combined with the lowered inhibitions from alcohol, often results in fights and other violent acts. HB, it fun to see other countries 7-11 stores. I seen one in HongKong and sure different from states and even in Hawaii different with Filipino food island style steam pork bun called manapua and musubi also. The Red Bull sold in states in cans not bottles. Yup, Red Bull is produced in Thailand – there are two versions, the cheaper and more powerful (feels more loaded with caffeine anyway) local one and the European version. I’ve always preferred the Thai Red Bull because it is non-carbonated (the Singapore version is carbonated). 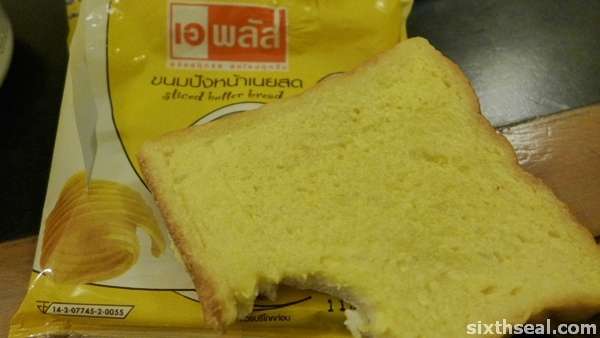 But I’ve also read that the Thai version is apparently not that safe for consumption? And to think it was part of my staple diet come exam season in uni. Hah. 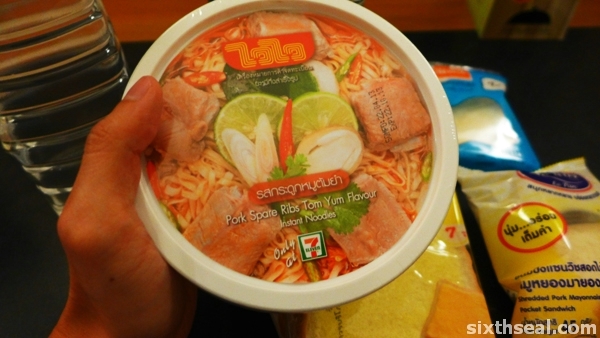 The Thai version is harder to get – it’s sold in some countries like Indonesia though. I remember one sadistic magic mushroom shop owner blending 4-6 bottles (!!!) 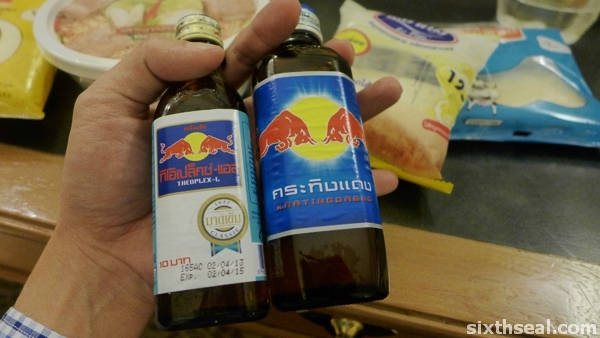 of classic Thai Red Bull with the psilocybin mushrooms! Needless to say, a friend of mine had a bad trip due to the high caffeine loads (causes jitters, nervousness, anxiety etc in large doses). The 7 eleven thr is heaven!! I just came back from Thailand and never one day in the whole trip we missed the 7 eleven. Haha It was something I always look fwd when in Thailand. Don’t miss the cola in glass bottle for THB10. Somehow the cola taste better there. It’s my second day here and we stocked up at 7-Eleven before coming back to the hotel each night. They have all sorts of wonderful stuff. The white little bottle of red bull is the original recipe and contains more caffeine. You should definitely try out the Lipovitan, which was the first energy drink. It’s the one with the V victory hand sign. Get the small blue bottle. Yup, I wanted to get the Lipovitan but I’ve had that before so I’m going for the interesting ones that I’ve never seen – M150 Storm, C-Vit etc. I noticed that too – the larger blue bottle doesn’t seem to have much caffeine in it at all! The smaller white bottle is more intense (and the ones the sadistic magic mushroom cafe operator used in Bali). There’s also a smaller Red Bull Extra can (Thai recipe instead of Europe recipe) that has collectible game characters at the back. Eat at SomTamNua, Greyhound @ Thonglor and Mango Tango. I think it’ll be fun too – we’ll go if we have the time. I haven’t heard of the first one (Greyhound) but I love som tam, we ate some yesterday at a roadside stall that’s *VERY VERY* popular with the locals. I think we might have been the only non-Thai there. I’ll check out Greyhound, it sounds interesting. Thanks! Som Tam Nua is near Mango Tango at Siam Square. You won’t miss it . Long queues but quick turnarounds :-) Plenty of som tam variations! Pork sausage and sticky rice is a must. Don’t forget to check out After You honey toasts for dessert! Also available at Paragon if not mistaken. Nice! I love som tam, I went to one with lots of variations the first time too! They even had blue crab to put into som tam and that was in 2006! I absolutely love the shredded pork bun. Would always stock up the moment I touch down and stock some up to bring home. Yummy!!! 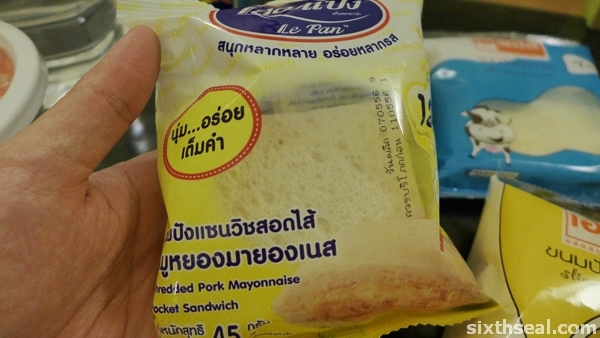 We stocked up on the microwave rice pork burgers from 7-Eleven – bought a load back, I still have some in the freezer right now. Awesome reheatable rice pork burgers!